"The citrus industry is very fortunate to have had an individual of Joel's caliber the last 37 years. That kind of loyalty is not only rare, it's unheard of," Board Chairman Curt Holmes said. "Joel has taken a relatively small industry and has given us a huge voice. We've faced many challenges over the years and have addressed them head on with his energy and passion leading the way. We are incredibly grateful to him for his service and we appreciate his willingness to stay engaged in the industry. "We are also very excited to have Casey on board as our new President and CEO," continued Holmes. "The Board conducted an extensive search process and interviewed viable candidates from across the country. We ultimately found the right person in our own backyard. 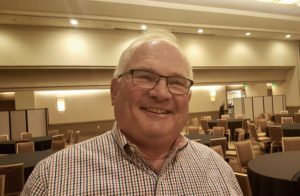 His prior experience working for a sister commodity organization and his work representing growers on water issues made him an ideal selection. Over the last year, his knowledge of the citrus industry has greatly expanded, and he has quickly become a valuable member of the CCM team on behalf of the industry." "I'm humbled by the opportunity to serve," Creamer said. "I've been extremely fortunate to work with some of the best leaders over my career and have nothing but respect and admiration for the job that Joel has done advancing issues important to the citrus industry. I'm looking forward to carrying on the many successful traditions at CCM, while constantly seeking new ideas and pathways to address the significant challenges we face. With the enthusiasm and commitment that exists in this industry, I am confident that together, we tackle any obstacle thrown our way."